Richard has been in practice for over four decades. After qualifying with his Doctor of Chiropractic at Cleveland Chiropractic University in the U.S, He practiced there for several years before moving to the UK, where he met his wife, Debbie, our practice manager. While he is an Australian, Dr Singer completed his Doctor of Chiropractic degree in the USA, and is a Diplomat of the National Board of Chiropractic Examiners (USA). He holds USA Chiropractic Licences in Arizona State, Washington State, Alabama State, and the state of Missouri, and he holds a Diploma in Spinal Radiology (USA). He is registered with the Australian Chiropractor’s Registration Board to practice Chiropractic throughout Australia, and is a member of Chiropractic Australia. He is a Medicare Provider, Registered with DVA, Work Cover, and all private Health Funds. Over his years in practice Richard has held many positions on Chiropractic Registration Boards, Chiropractic Association Boards in the USA and Australia. He has completed post graduate work in all many main stream Chiropractic techniques in the US, UK and in Australia including Applied Kinesiology, Sacro’ occipital Technique, Gonstead, Thompson, and many others. He has been a guest speaker at Cleveland Chiropractic University (USA) home coming celebrations, Dynamic Essentials Seminars, Chiropractic philosophy clubs in UK, USA and Australia, and other seminars in the USA, UK and Australia. He has served on the Boards of Rotary International, and the Chamber of Commerce and Industry in Noosa. 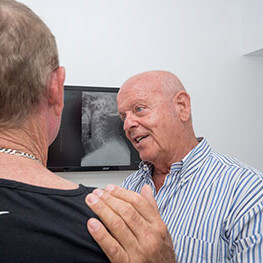 Dr Singer has been in active Chiropractic practice for nearly 48 years, firstly in the USA, UK, and for the past 27 years in Noosa. Richard enrolled to complete his Doctor of Chiropractic at Cleveland Chiropractic University in Kansas City, Missouri. He loved this experience, feeling passionate and excited for every lecture. Richard’s grades were outstanding, and he won several outstanding student awards and scholarships during his time there. He stayed in the US for several years in general practice and passed 4 state boards and the USA national board exams. He moved back to Australia briefly and then on to London where met Debbie, and they opened their practice in the heart of the West End in London. They soon became the Chiropractor for the West End Theatre Companies, and in particular Andrew LLoyd Webber productions, the Royal Ballet and the Covent Garden Opera Company. Additionally, he is a Diplomate of the Chiropractic Board of Chiropractic Examiners (U.S.). She knows many different modalities that massage has to offer, and she is passionate about helping others create a healthy balance in her client’s lives either by relieving any pain, stress, or to obtain a relaxation massage. 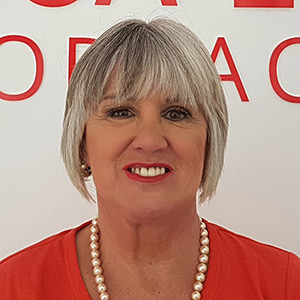 Through Mari’s education she has found her niche in Myofascial release, Muscle energy technique, joint mobilisations and Trigger Point Therapy. Along with other therapeutic treatments like Deep Tissue, Sports massage, Lymphatic Drainage and the classic Swedish massage to creating the best experience for the client. She also has a special technique that she bought direct from Brazil to improve cellulite and localised fat using Dōterra essential oils and a variety of manoeuvres to improve circulation and Lymphatic Drainage, nothing like you have seen before. Make an appointment today and experience what Mariane can do to help you feel better and reach your wellness goals. Call 0409 570 246. Debbie has a passion for everything Chiropractic, and incidentally everything Italian. 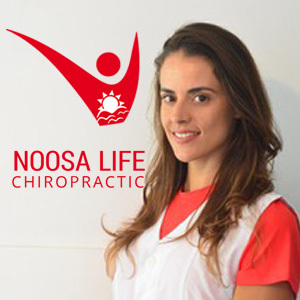 They returned to Australia, settled in Noosa and started Noosa Life Chiropractic some 25 years ago. They have been married for 28 years and been a team ever since. Debbie has a passion for everything Chiropractic, and incidentally everything Italian. She is a lovely young lady, with a caring efficient personality. She moved to Australia in 1982 and has been happy to call Noosa home for the past 10 years. She is a live-in carer for her grandparents and is very grateful to be able to spend this important time with her family. An ex-hairdresser, Nancy took an interest in Chiropractic when beginning to suffer from work-related spinal complaints. She has now enjoyed working as a CA for the past 4 years as she has a natural desire to improve life’s conditions. We’ll begin relief immediately at your first visit. After you’re free from discomfort, our principal focus is to provide healthcare that helps you maintain your well-being. 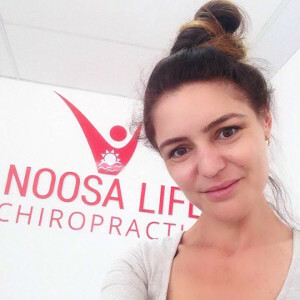 The Noosa Life Chiropractic and Massage team look forward to meeting you and helping you reach the highest levels of health!